Cultivating a foraging spirit is one of the most fun and rewarding ways to live a seasonal lifestyle. Foraging from the wild is probably the oldest and most accessible way to connect with the seasons for the obvious reason that it can only be done in season. However, it can be intimidating and a foreign experience for many of us in our modern lives. Foraging needs to be done safely. There's no way around this truth. Proper identification is key before ingesting or using any wild plant. But before we can begin using what we find we need to develop a way of life that encourages foraging adventures. These tips will help you get started and build a life in which foraging becomes a regular part of the routine. In order to forage, we first have to get outside. Make it a part of the weekly routine to simply get outside. This doesn't have to be grand hikes into the great wilderness. Walks around a local park (where foraging is permitted) is great. Just simply get outside and look around. Don't forget that the organic backyard has plenty of foraging opportunities as well. The gardens and lawn are often full of underappreciated plants that we can use to begin our foraging adventures. While outside, be looking around at the earth. This is not the time to be scrolling through Instagram. Stay present in the moment and pay attention to what is growing. Our modern society makes it so easy to get distracted. Practice staying present in the moment. Let the worries of the day go for a little while and just watch the ground at your feet. 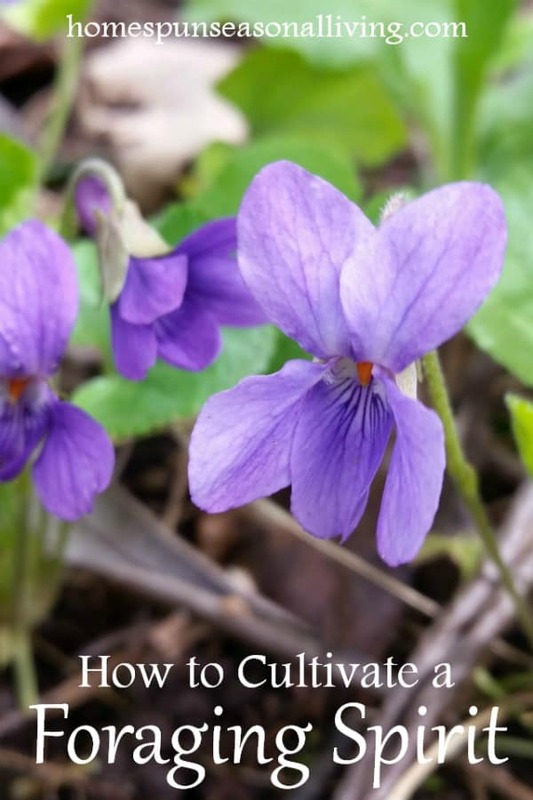 In order to have a foraging spirit, one needs to be curious about plants. Sometimes it's easier to be curious about new or unfamiliar plants but never forget to be curious about old familiar faces. You may be able to easily identify daisies or lupine for example but do you know if they're edible or useful? You know that blackberries are edible but are there uses for the leaves, too? Find a new plant that you can't easily identify? Ask someone. 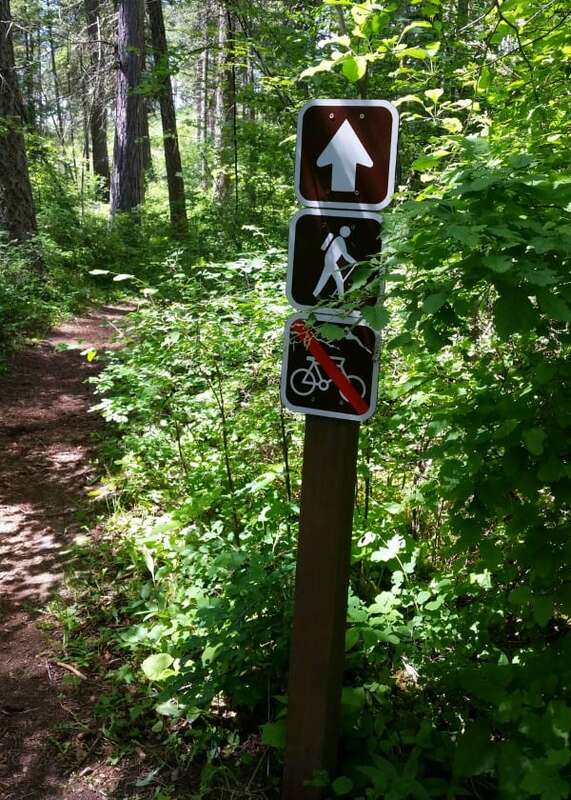 If there's a ranger at the park, ask them. Take a photo and get help either online or from local experts. Pour over field guides. The US Department of Agriculture has a handy online plant database to help with identification (and it lets you narrow it down by state). 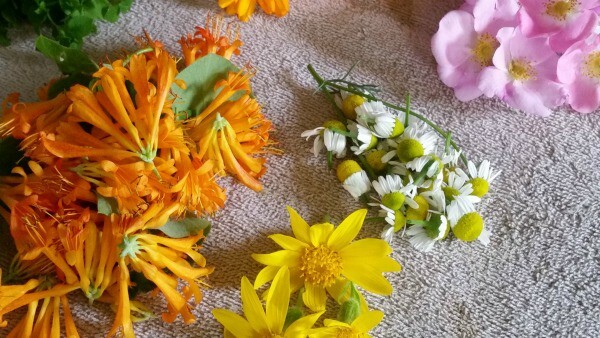 Take a wildflower hike or herb walk offered in your local area. The Herbal Academy has an incredible online Botany & Wildcrafting e-course complete with photos, videos, identification tips and more. 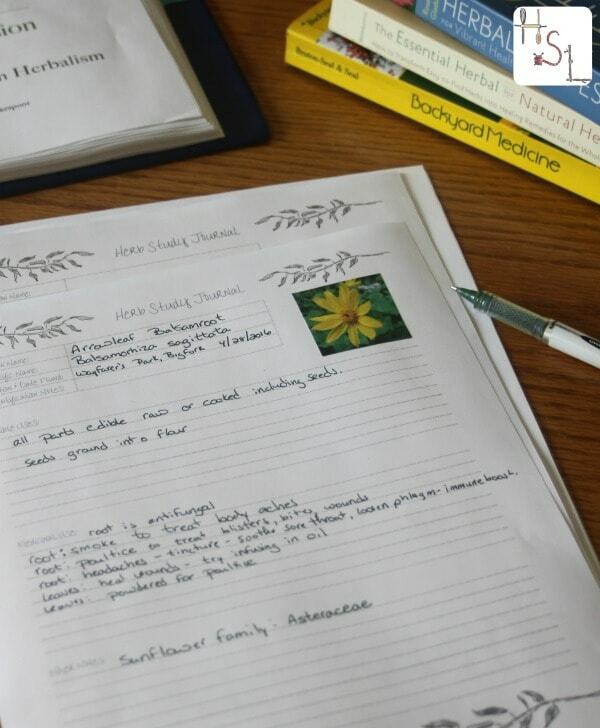 A foraging journal is a handy thing. Keep track of what was found, where and when. It's nice to know that generally the arrowleaf balsam root blooms in a particular park in May, for example. It's also a great personal reference for edible and medicinal use. This doesn't have to be anything fancy or encyclopedic. Simply some form of record keeping that works for your lifestyle. Need a template for those records? Get my free herb study printable when you join my newsletter list. Keep a few foraging supplies in the car. You never know when you might spot something you want to harvest. This nothing fancy just a container of some sort (like a small bucket), maybe a pair of scissors or a pocket knife, and some gloves. That will likely get you pretty far. Trust me, you'll be grateful the first time you go to the park on a work lunch break and find morels or wild roses ready to be taken home. Bring those foraged items home (assuming you've properly identified them). Take them into the kitchen and cook with them. Decide the best way to eat them (or not again if you didn't like it). Make herbal remedies that your household can use with them. Use the flowers and other items as table centerpieces. Simply bring them into your home and make it a part of life inside as well as outside. While cultivating a foraging spirit might be about connecting to nature, creating herbal remedies, or eating from the wild, let it always be fun first and foremost. It can be exhilarating to find a bumper crop of berries and disheartening when we only find 1 morel – still remember that getting out in nature should be fun and relaxing. The spoils of our foraging adventures should be viewed as a most excellent bonus. Love your web site!! I look forward to reading and learning from each email from you. Thank you.